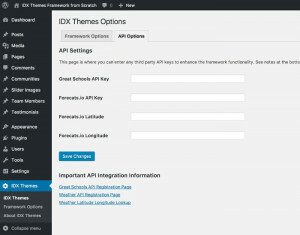 In this video, we take a quick look at the components that ship with the IDX Themes Framework and Child Themes right out of the box. We will hit quickly on the content management components as well as the WordPress Customizer. We know that some themes come with a massive amount of components and functionality, but, we prefer to focus on what is going to help you succeed and have provided the base tools to get the job done. We prefer to build simple and effective components that are easy to use and compliment the WordPress core experience.